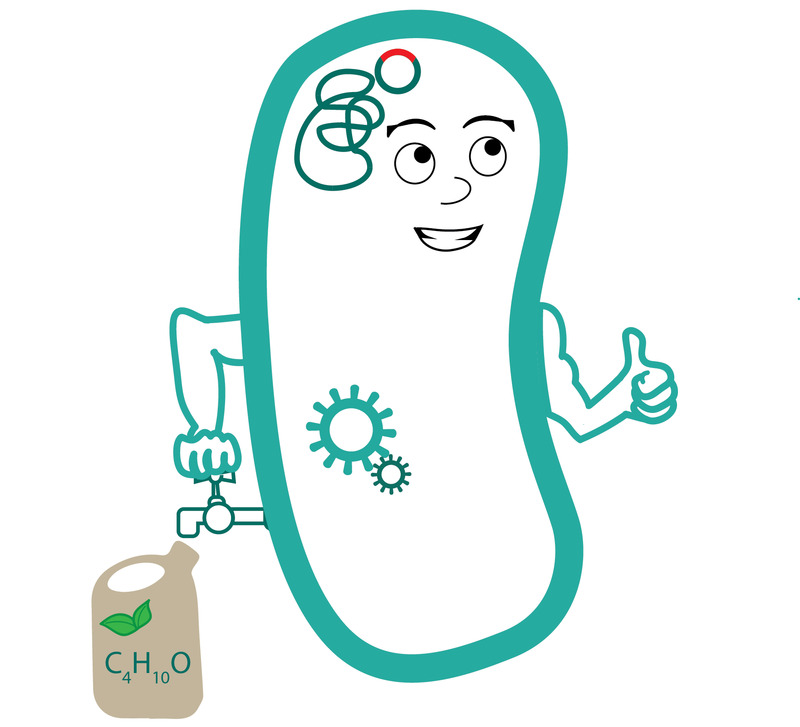 The aim of the third module of our project is the production of isobutanol in Escherichia coli, which was already shown by Atsumi et al. The bacteria should use the products of the carbon dioxide fixation from module II to produce the key metabolite pyruvate. Pyruvate is then further used in metabolic pathways of the cell. Pyruvate is considered as a key metabolite because it can be used as a precursor for different industrially relevant products. We decided to introduce an isobutanol production pathway which starts with pyruvate and is called 2-keto-acid, or Ehrlich, pathway (Peralta-Yahya et al., 2012, Atsumi et al., 2008). For this we want to use and improve existing BioBricks from iGEM team NCTU Formosa 2011/2012. Different production pathways of variable high value products derive from pyruvate. For further purpose the modularity of BioBricks can be used to enable the exchange of those producing systems. Other, than isobutanol, thinkable products would be isoprene, putrescine or even antibiotics. Here you will find our results of the isobutanol production. You can find more information about isobutanol, our genetical approach and an outlook on our wiki.